The State of California is spending $9.2 billion in state school bond funds to modernize and build new schools to begin addressing an estimated $40 billion in statewide school infrastructure needs. At the same time, billions of dollars have been authorized by the voters for investment in parks, libraries, and local school bonds throughout the state. 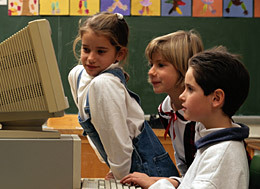 Nevertheless, urban school districts continue to have difficulty accessing the necessary resources to build new schools. Many districts have been unable to meet the 2/3 majority voter approval requirement for passage of local school bonds. Meanwhile, state school construction funds are based on a "first come, first served" allocation system in which those school districts who submit their applications first - regardless of need - receive priority. This section provides an insight to various efforts to provide greater accessibility to bond funding.